Currently, Australian pub real estate offers an attractive positive yield spread which is bringing new sources of equity to the sector. Yields for Lessor’s Interest hotels are typically lower than Going Concern yields due to them being a passive investment with lower risk. A Lessor’s Interest hotel is not management sensitive, however poor management by a Lessee may result in a lower Lessor’s Interest Value due to market rents being tied to profitability. Yields for Lessee’s Interest hotels are higher than Going Concern yields as they are higher risk and more susceptible to fluctuations in value due to their management sensitivity. Poor management will result in a reduction in value, with the underlying value typically limited to plant and equipment, and potentially gaming authorities if present. When it comes to securing competitive finance for your pub or hotel, more than ever before, experience counts. 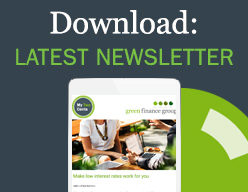 Green Finance Group’s Director, Daniel Green, is a multi-award winning pub and hotel finance specialist with unmatched lending experience in this space. In just one consultation Daniel can show you how savings can be made, which bank or lenders will provide a better finance deal for your business and how to structure your finance to ensure your loan terms help, not inhibit, your productivity.